SHOES OR NO SHOES in Kruishoutem is home to some 3000 pairs of shoes. Together, they tell a fascinating story about different cultures, contemporary art and veering off the trodden paths. The museum is set in an austere, lead-clad building from the seventies that was once the premises of the Emiel Veranneman Foundation, named after the pioneering Belgian furniture designer of the sixties and seventies. Now, it houses three large collections of footwear. 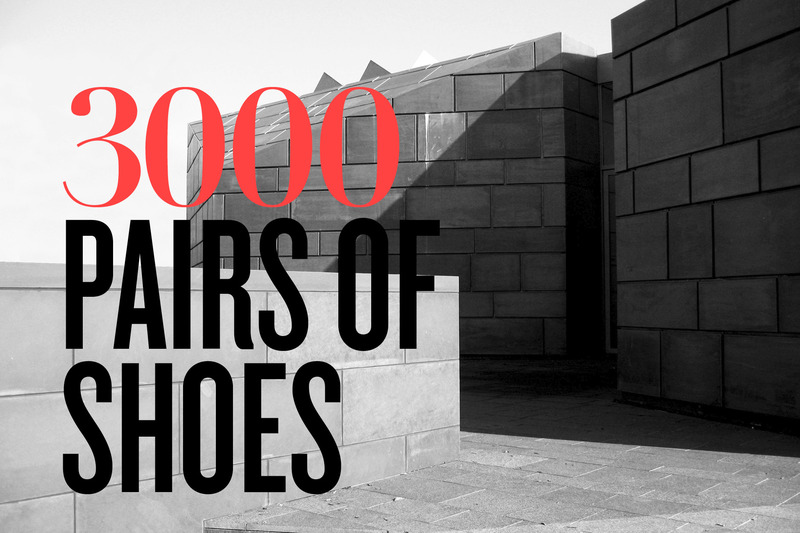 For the first one, the museum asked 1400 artists to donate their work shoes, which makes for an eclectic collection. A pair belonging to Lisa Jeanin is made of caramel and licorice, and it’s hard to imagine how the artist walks around in her workshop in these shoes. Choreographer Merce Cunningham’s white dance shoes look pristine, while Arman, who is known for his Accumulations, donated a pair covered in big blobs of paint. 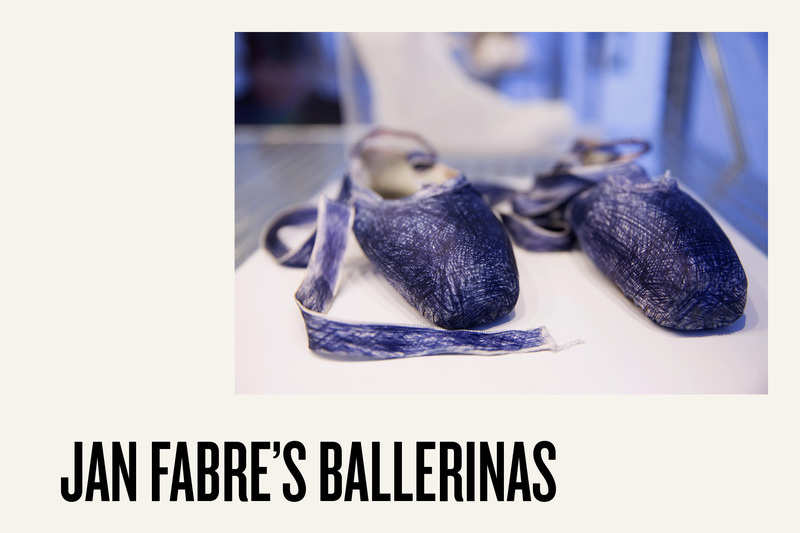 Via Yoko Ono’s high heels and Aldo Mondino’s cycling shoes we arrive at Jan Fabre’s ballerinas, colored in with blue ballpoint pen. 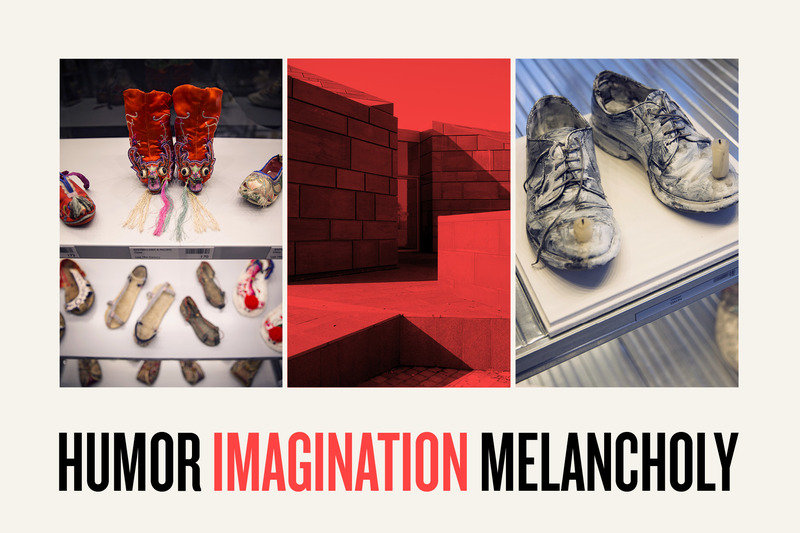 And then there are Barbara Bloom’s paper shoes that are used in China to remember the dead, and Liliana Moro’s, featuring a beach with palm trees and a prince on the lookout. 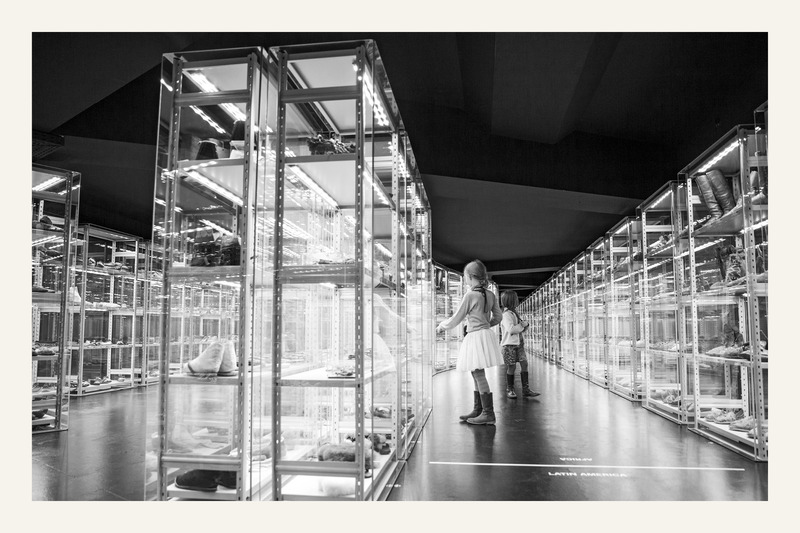 Another room shows the museum’s ethnographic collection, the largest in the world. Endless displays of shoes, boots and slippers are like travelling through time and around the world. There are covetable sealskin boots with embroidery and crochet, made in Canada at the beginning of the 20th century, and boots in white polar bear skin from the US. The bearskin boots the American Indians wore for their ritual dances were supposed to make them as strong as the bear that died for their footwear. One of the oldest pairs of shoes is made of porcupine spines: they date from the 10th century B.C. There are children’s shoes from Peru that have obviously had plenty of wear. 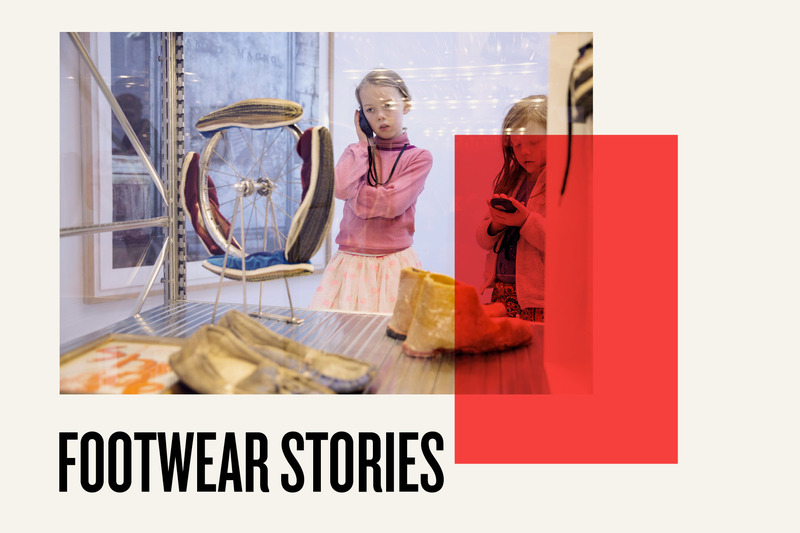 Every pair tells a fascinating story: from the 100 year-old diving boots (12.5 kilos each) to the slippers of a Nigerian medicine man and the impossibly small shoes from China worn by women with bound feet. The third collection shows the work of contemporary shoe designers such as Vivienne Westwood, Manolo Blahnik and Christian Louboutin. There are gorgeous high-heeled princess shoes by Tokio Kumagai, and remarkable banana shoes by Kobi Levi. Not exactly comfortable, but a good reminder not to take life too seriously.